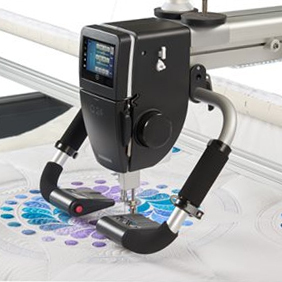 The Palm Precision Handles allow a comfortable, controlled handling of the machine for very tiny quilt movements. 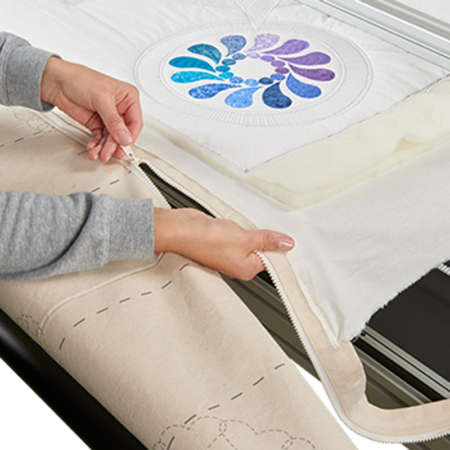 The ergonomic design of the handles allow you to comfortably quilt for hours. 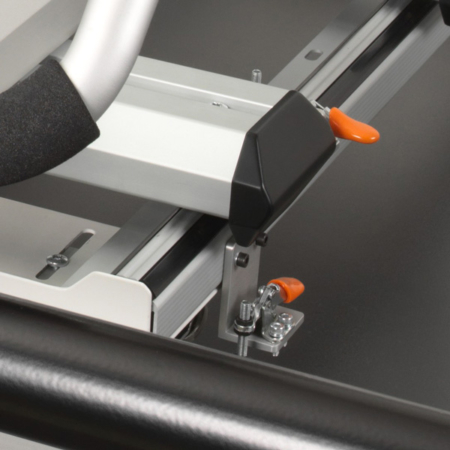 They are perfectly suited to micro work, filling small areas, doing detail work or getting a Trapunto effect. 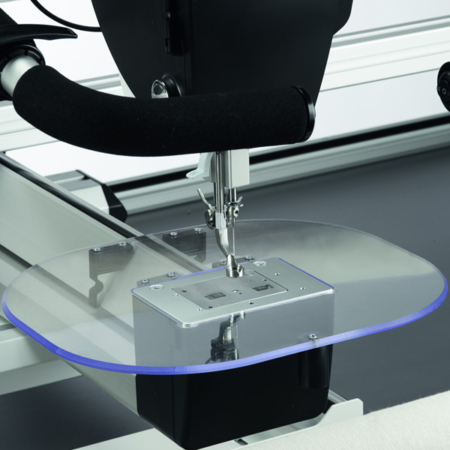 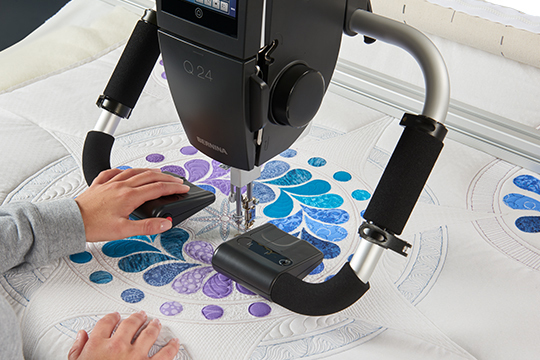 The Palm Precision Handles are mounted directly on the longarm quilting machine’s head. 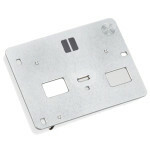 The operation and setting of the key assignments are done in the same way as in relation to the standard handles. 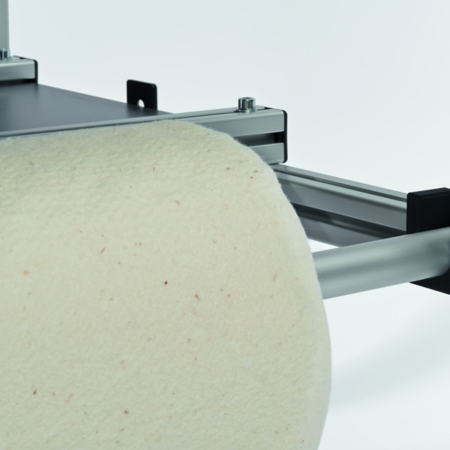 A sitting work position is recommended to have the forearms supported by the Back Roll while working.